Discussing the Nine Mile Ride Cycleway with councillors, discussions have always tended to go the same way. If you take a look at the recommendations for shared use footpath and cycleways suggests a minimum width of 3m (9ft 10in in old money), with a minimum width of 2m (6ft 6in) being acceptable on less important links in rural areas, provided there are no side constraints. Even from a car it is pretty obvious that there isn’t 2m of space on either side of Nine Mile Ride along a lot of its length, even if you shift the line of the road and take the verge off the other side, let alone the recommended 3m. Needless to say residents when told that the council was going to build a cycleway, if they knew the rural end of Nine Mile Ride well questioned whether there was space, and were assured by councillors that officers had confirmed that there was space. It even became an issue in the most recent local election campaign with Jim May, a parish councillor who was running as the Liberal Democrat candidate questioning whether there was the space, and being roundly criticised by the Conservative candidate who once again assured residents and parents that the cycleway would be provided. At the beginning of this year, the council finally sent surveyors along Nine Mile Ride as the first stage of delivering the cycleway in time for September. Then things went a bit quiet. It all exploded this week when local councillor Ian Pittock, who has been a long time advocate of providing a school in the south of Wokingham, even to the point of saying he would resign if it wasn’t delivered, and has regularly assured parents and potential parents that a safe cycleway would be provided, posted an angry note to the Bohunt Parent Forum. 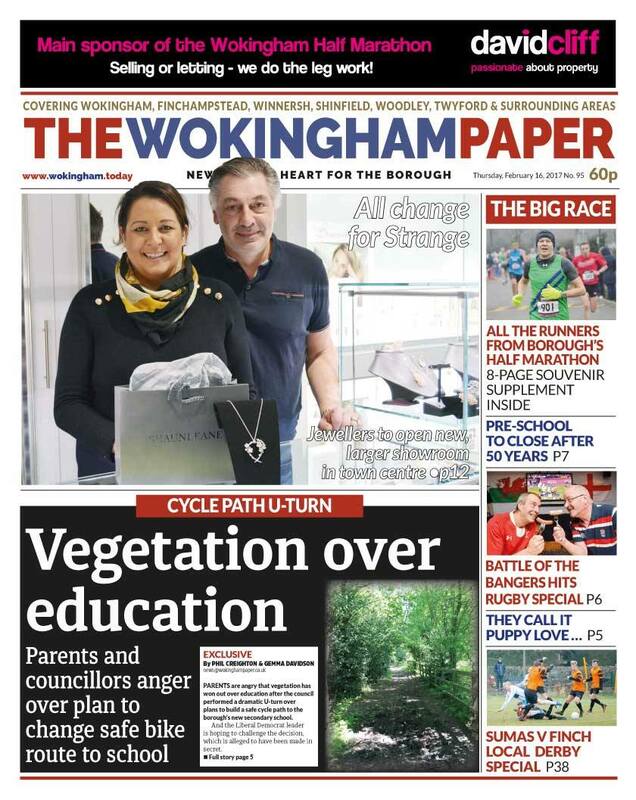 His note said that he had been informed that the Wokingham Borough Executive had decided that plans for the safe cycleway along Nine Mile Ride had been abandoned. That needless to say produced a lot of angry parents, and clearly Cllr Pittock feels thoroughly let down by his fellow councillors on the executive who knowing full well he has been assuring parents that the cycleway would be delivered for years, have left him well and truly in the firing line, and apparently gave him no warning of the decision. It is also an embarrassment for the council as a whole, as it isn’t just Ian who has been giving assurances, but now suddenly the plan is abandoned. A key part of providing a safe route to their high profile new school dropped in favour of an isolated and indirect rural back route that most parents consider totally unsuitable as a route for their children to cycle. A big reason for building a school in the south was to avoid the long standing Finchampstead school bus routine familiar to generations of parents and children. If a safe route to Bohunt School is not provided, that long standing tradition will continue, albeit on the regular Reading Buses Leopard service. The official line seems to be some vague comments about some protected trees and hedgerows and Cllr Pittock suggested on his original post to the parent forum that there were a small number of places on Nine Mile Ride where properties have encroached onto highways land. However even before the surveyors going out it was clear there would be a few problems, and the road would need to be realigned, all stuff that would have been budgeted for. How can it be suddenly so much more expensive to build the cycleway? To work out why you really need to do what the surveyors did, and set out on foot along Nine Mile Ride, remembering that the cycleway needs 2–3m or 6–10ft of space. The officers have been assuring people like Cllr Pittock for years that their plans show enough space, so it should be there. If you look at the widest parts of the northern pavement there is a paved part directly next to the road, then the combined power line and phone poles, then a wide grass verge, and on those parts there probably is the acceptable width, and a smaller verge on the southerns side. But in others front hedges are further forward, indeed in others the power poles are surrounded by hedge, and still more have walls and fences close behind the power lines. It is pretty clear that there are more than “a few” properties that if the Wokingham Borough plans suggested there was space for a 2m cycleway let alone 3m, are encroaching onto highways land. Could it be that the bean counters at Wokingham Borough Council totalled up how much it would cost to issue enforcement notices on dozens of properties along Nine Mile Ride, and the associated legal costs of a number of those residents fighting the enforcement and decided it would be better to take the anger of the school parents than fight the action? The council is needless to say playing their cards close for the moment, although they said to the Wokingham Paper that they are still exploring options. As a result we don’t know how many properties are actually affected. It’s also quite likely that many of those affected properties will have been bought and sold in good faith, and the current owners aren’t responsible for the encroachment. Wokingham Borough Council and their predecessors have been failing to enforce and protect their highways land for decades, and it’s only now they need the land that the problem has come to light. Whichever way this eventually works out, the whole issue is turning into a nightmare for all involved. On the one hand you have parents who thought their children would have a safe route to walk and cycle to the new school from September, on the other you have residents of Nine Mile Ride who if the cycleway is to be built are going to find themselves in a legal wrangle with the borough council over long unenforced property boundaries. Suffice to say with the anger of local parents, and a front page story on the local paper about the cycleway, this isn’t the end of the story. Any work outside these hours has to be previously agreed with the council, and will generally be for short periods for specific tasks, for example last year Crest were given permission to work on a Sunday to catch up with utilities work. If work is occurring outside those hours it should be reported via [email protected]. It is worth noting that Wokingham do take this seriously and have taken enforcement action against Crest Nicholson previously when they were working on a Sunday in contravention of planning consent at their site in North Wokingham back in 2014. That address can also be used for any more general problems, or if you feel that your issue is not being properly dealt with by the developer. On Monday we had the latest Arborfield Community Forum, with presentations from council officers on the overall development and the current situation with the Arborfield Relief Road/Bypass, an update from Hugo Reeve from Crest Nicholson on the latest progress on their part of the development, and finally from Bohunt Educational Trust on the current progress on the new school. Of the presentations the most professional was from the school, who had evidently sat down and considered all the questions parents may have about the school, and made sure they answered them in the presentation. In general it seems Bohunt is on schedule to have the school open and running and are now recruiting staff, and looking forward to working with their first cohort of students in the run up to their first day at the school in September. At the other end of the scale were the council officers who turned up incredibly poorly prepared, lacking the information residents were wanting and reaped the result in some pretty heated questioning, especially when it came to the newly appointed project manager for the relief road who evidently hadn’t even properly understood how we got to the adopted route in the first place and why the others were rejected. Going over the main points that were covered, there were several questions over the changes in phasing both to the council and to Crest Nicholson. The basic reason given for the change in phasing around the Nine Mile Ride extension is as a result of Wokingham asking Crest to build the school end of the Nine Mile Ride extension first. The initial plan had Crest starting from the A327 end and building into the site, now they have been asked to start the road at the school, and will then be building towards the A327. 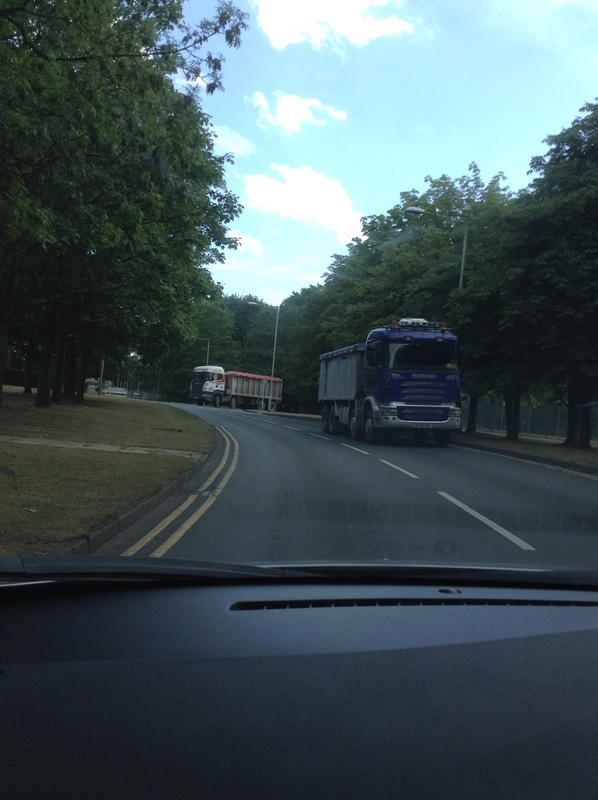 This is also reflected in how the services are being brought in – coming from Sheerlands Road rather than the A327. Whichever phasing is used the ultimate result is the same, it’s just that on the original phasing existing residents had a while longer without houses on the fields. Much of the remaining discussion revolved around roads. If you look back to last year one of the significant changes around the bypass was in how it was going to be funded. The council managed to secure central government funding which was sold to the residents as an advantage in that having got the funding it meant that the road didn’t need to wait until the development reached a housing trigger point before the road could be built. However from the schedule given on Monday we’re potentially heading for the negative side which is that disconnected from the development, if the road is delayed or funding is lost then the development can continue whether or not the road is built. To many it seems that the schedule for the road had slipped, and whilst that seems to have been done to allow an extensive round of consultation about the design of the road, the main concern for many is now how long we’ll have to wait for the road to ultimately open, during which time the increased traffic generated by the development along with the building traffic will continue to travel through the conservation area at the heart of Arborfield village. The other area of significant concern around the roads is in particular with relation to the school. The parental reference group realised early on that this was going to be an issue and spent a considerable amount of time looking at all the potential access routes and coming up with a list of measures they regarded as essential for the opening of the school to allow as many students as possible to walk rather than drive to the school. The council, as they often do in situations like this discussed the measures, made positive noises, but prepared a fallback position which is to bus children to the school if the measures aren’t ready. On Monday they announced that they would be using the fallback option. Sadly as we’ve found over and over again, verbal agreement, or promises from Wokingham mean relatively little. Indeed even with a more formal agreement timings for things slide – let’s not forget how long we’ve actually waited for the school itself, despite repeated promises that a school for the south was on the horizon. What is frustrating is that there doesn’t really seem to be any coherent reasons given for why the council is not delivering the required changes to the roads, especially considering that the council will end up having to spend money bussing children because the required changes haven’t been made. Could it be that some council bean counter has worked out that the cost of bussing a relatively small number of children to the school is less than the cost of the road modifications? Who knows. Moving on to wider issues, as you may know, originally the MoD planned to vacate the Garrison and sell all the housing they owned around the base, and to that end they were gradually selling off some of the housing around the Garrison long before the decision to close was actually made. That all changed when the Government decided to bring back our forces stationed in Germany. The MoD having been selling off housing in Aldershot found that they didn’t have enough housing there for all the families that now needed accommodation so the programme selling off housing at Arborfield was stopped, and personnel attached to Aldershot are now housed here. One side effect of that is that we currently have several roads on the Garrison that are within the MoD owned areas, but where the residents are civilians. This has effects in all sorts of areas where residents elsewhere would just turn to the council, in the MoD owned roads the residents are left dealing with the MoD. Over the time since civilian residents moved in there have been particular issues over maintaining the streets, basic stuff like fixing streetlights for example. Also issues with the MoD owned playground where on several occasions the parish council has had to chase up the DIO to fix problems. Most recently we’ve been contacted by a local resident over their extortionate water bill. Unlike residents in other parts of the Garrison who have mains water from Thames Water, the MoD owned houses get their water through the same arrangement as the houses retained by the MoD. This means they end up getting a fixed bill from Severn Trent Water who handle the water across the whole estate. With the original programme this was only going to be a temporary problem with the roads ultimately being handed over to the council once all the MoD personnel had moved out, however with it now looking like the MoD are going to retain ownership of a large number of houses on the Garrison for a number of years getting large fixed water bills with no opportunity to switch to a water meter is becoming an increasingly frustrating problem for some residents. All the right notes… Just not necessarily in the right order. There is a famous comedy sketch featuring Morecambe and Wise, and an increasingly frustrated André Previn as Eric says he is going to play Grieg’s Piano Concerto. As the sketch progresses Previn accuses Eric of playing all the wrong notes, and Eric comes back saying that he is playing all the right notes, just not necessarily in the right order. The planning phasing for the Garrison development is getting a bit like that. Several weeks ago we were contacted by a resident of Badgers Mount about the work that was going on in the fields between Sheerlands Road and the A327. Whilst the plans have always shown the Nine Mile Ride extension being built early in the plan with some housing development either side of the new road, the phasing plan had shown that the areas closest to the existing houses would be developed much later on, leaving the most controversial and contentious parts of the development that would most affect existing residents until last. The resident was concerned because the work was going on in the field right up to the boundary close to the existing houses. Contacting Crest Nicholson, both ourselves and Gary Cowan our local councillor were told that it was merely archeological work, something all developers have to do before undertaking a significant development, and it made sense to do the whole field in one go rather than just do the part to be developed now and come back and do another round of investigation later on. The resident has continued to keep in contact with Gary, and has contacted us again following a worrying email they have received. 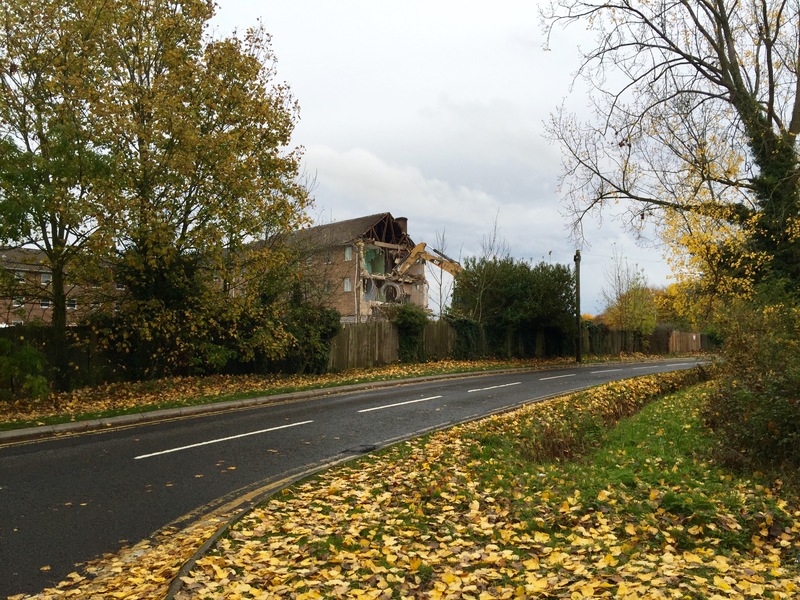 I am writing to make you aware of the change in phasing for the Arborfield development. The houses due to be built in the adjacent fields in 2020 are now being proposed for development in a few months’ time. Planning permission will be sought by Crest Nicholson soon and they will be highlighting the changes in the meeting at Henry Street on Mon 22nd Feb (7.00pm). The Nine Mile Ride Extension will be cut through to the A327 first and falls just the other side of the hedge of the nearest field. They then propose to build houses north of that road and closest to us. I have asked if they could first build the southern side of the road retaining our semi-rural aspect for as long as possible, a benefit that I’m sure you appreciate and new households will too. I asked the reasons to why the phasing was brought forward via Gary Cowan and this is the reply he received. I fully understand the houses will come however the district centre hasn’t moved, the NMRE road was always going to be built first so there is no reason to alter from the phasing they consulted us on. They have changed their plans using the school inappropriately as their excuse. If you are in agreement then please raise your concerns so we have a stronger voice and can retain the 2020 phasing we were promised and consulted on. PS They do say the will honour the 30m buffer between our gardens and the new development. This highlights an ongoing concern we’ve heard from local residents. Back when the outline planning application went into the council, Crest Nicholson included a phasing plan, but that phasing plan seemed to go out of the window with the very first bit of development which was in an area over by the lake on Biggs Lane. There are some broad directions that are being followed, driven by the need to have better access to the school for example, but as this resident has highlighted they are proposing to build all the houses alongside the Nine Mile Ride extension rather than the two phased approach that was originally proposed. 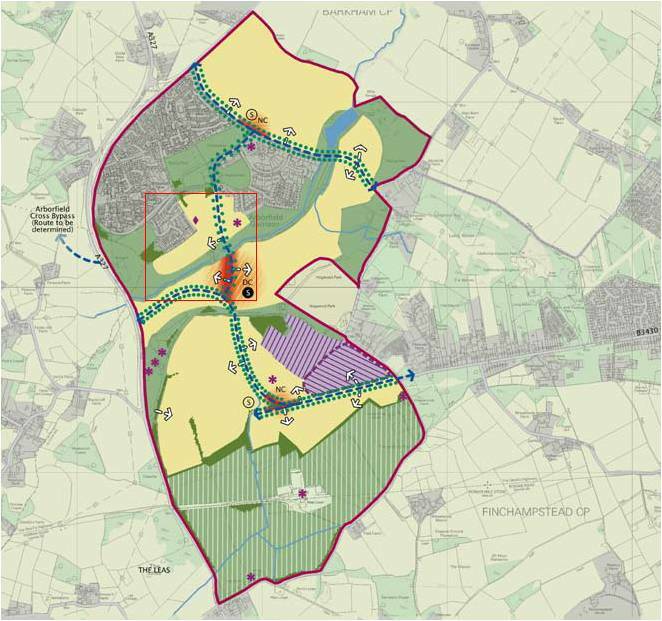 As they only have outline planning permission, Crest Nicholson have to go through a reserved matters planning application to fill in the detail, which they will do shortly, and at that point residents are able to make their concerns about the changes known. However even between answering the question on the archeological work and today things appear to have changed. 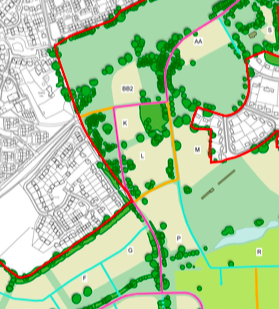 As the local resident highlights, Crest Nicholson will be presenting the changes to their plan at the Arborfield Community Forum on Monday night, so this will be a good opportunity to ask them why they are changing around from their original phasing plan. If you wish to attend the meeting is being held at the Henry Street Garden Centre, and will commence at 7pm. Representatives of Crest Nicholson will be presenting at the meeting along with council officers and representatives from the Bohunt Educational Trust talking about progress on the school. A while back, I had a conversation with a local resident who had been speaking to a friend of theirs who was an Army Padre elsewhere in the country about the various issues that have been coming up locally and the difficulties of dealing with the Defence Infrastructure Organisation. His friend apparently laughed and said in his experience dealing with the DIO was like speaking to a box with a speaker on it, you never felt like you were dealing with real people. That comment rings true with people all over Arborfield, again and again we’ve come across situations where the DIO have done things that seem inexplicable when you look at the effect it has locally. Firstly we have the closure of the shop and Post Office, without any consultation with local people. The presence of the shop and Post Office had been used as a justification for not providing any sort of convenience store for the development of Penrose Park, and subsequently the Garrison Post Office had taken on the role of main Post Office for the whole of Arborfield when the Post Office had closed the facilities in the village. However this counted for nothing when the Garrison Post Office was closed at 24 hours notice. The Post Office have now all but given up trying to get the DIO to actually follow the proper closure procedure despite maintaining that the closure was only temporary for a long while after the closure. Moving on, the DIO for a while has been acting as if the Garrison is completely closing, and all military personnel are leaving, despite this not being the case – we continue to have personnel from Aldershot resident. It really does seem as if the DIO think all the personnel here are going to drive down to Aldershot to use the facilities there. So far they have tried to close the Community Centre, again at short notice, which was saved by a concerted local response. They tried to close the Garrison Church which was only saved by an appeal from the local congregation to the Bishop of Reading to take responsibility for the church as part of the civilian church organisation. 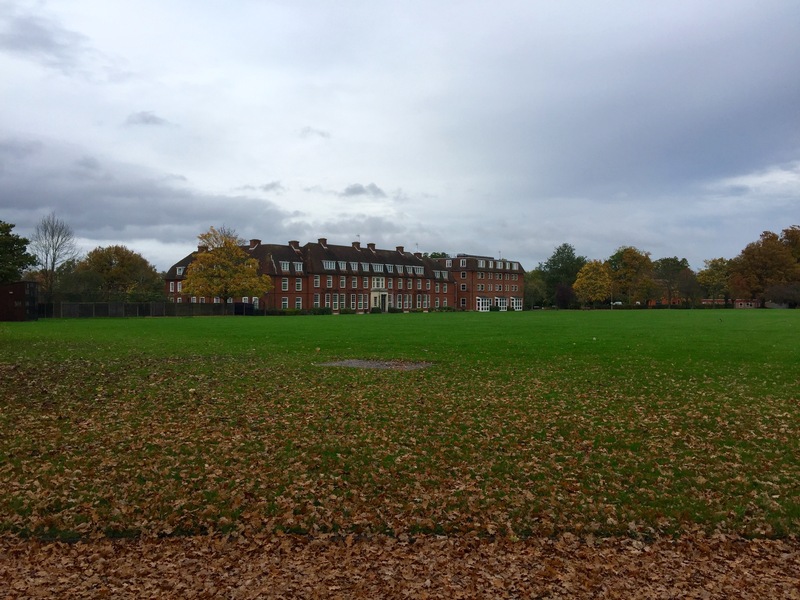 There is also the whole fiasco over the dog walking field, much of which is being retained as public open space, and which Crest Nicholson are happy for residents to keep using. However the DIO has had a wire fence put all along the edge of the field blocking access. Crest Nicholson have said that the fence will more than likely be removed, and have argued with the DIO that it is pointless to erect a fence just to have it removed. It’s not just the regular personnel whose needs have been ignored, recently there has been discussion locally about the fate of the Arborfield Army Cadets following a planning application to convert the closed Post Office and shop. The cadets had had facilities within the Garrison, but as part of the closure they were kicked out and have been meeting in the Pavilion. At no point during the departure plans was it even considered that the cadets, who draw members from the local community, would need somewhere to meet. The DIO solution is to convert the old shop, that whilst it is a DIO owned building that isn’t due to be demolished, is not exactly ideal. It’s a relatively small building in a residential area that already has parking issues, and yet the building has no parking. Whilst the inside can be converted there is no outside space with the building at all. Sadly this inadequate building seems to have been presented to the cadets as the only option aside from closing the Arborfield Cadets altogether. The Arborfield Cadets have been a valuable presence in the community for a number of years, parading at events such as Remembrance and providing activities for young people in the village that would not be available anywhere else, and nobody wants to see them close. However they really deserve better facilities than a converted shop – at the very least they need somewhere with both inside and outside drill space, somewhere where their needs have been properly considered, rather than palmed off with a “spare” building. Or are the DIO expecting them to parade in the children’s playground next door? That is quite apart from the need for a shop and Post Office which has been regularly raised by residents ever since it was closed and has been rebuffed a number of times by the DIO since then. Whilst eventually there will be new shops opening as part of the development according to the plans, the experience in Jennets Park in Bracknell is that even if it is a required part of the planning approval it can be a real fight to get a shop provided. It’s almost as if somebody in the DIO box has decided that putting the cadets in the shop would solve two problems in one, a new home for the cadets, and no place to reopen the shop the residents keep asking for. Fundamentally, the focus for the DIO seems to be to maximise the amount of money they can generate from the closure of the Garrison. With the decision of the Navy and Air Force to pull out of the joint training base at the former RAF Lyneham this is even more of the issue as they have a much larger base than needed there, and are not going to be getting money from the closure of Navy and Air Force training facilities elsewhere. Things like the fence are merely procedure that must be followed, but the rest is trying to save as much money as possible, whatever the effect on personnel and civilians living locally. The local community has stepped up to save the community centre and church, and we will continue to support the personnel families as long as they are in the village as we always have done before. We need to do the same for the Cadets – with detailed plans not finalised for many parts of the former Garrison it is perfectly possible to provide facilities for the Army Cadets that are exactly what they require, and will meet all their needs – the obvious place would be as part of the school development underway a short distance away. Do we really want our cadets squeezed in a converted shop and parading on a children’s playground – or should they get the facilities they deserve as part of the wider development? We have a new consultation company, with a new website asking for our opinions – the vast majority of local residents should have received a card through the door from Meeting Place Communications, who Crest Nicholson have given the ongoing hot potato of the name of the development. 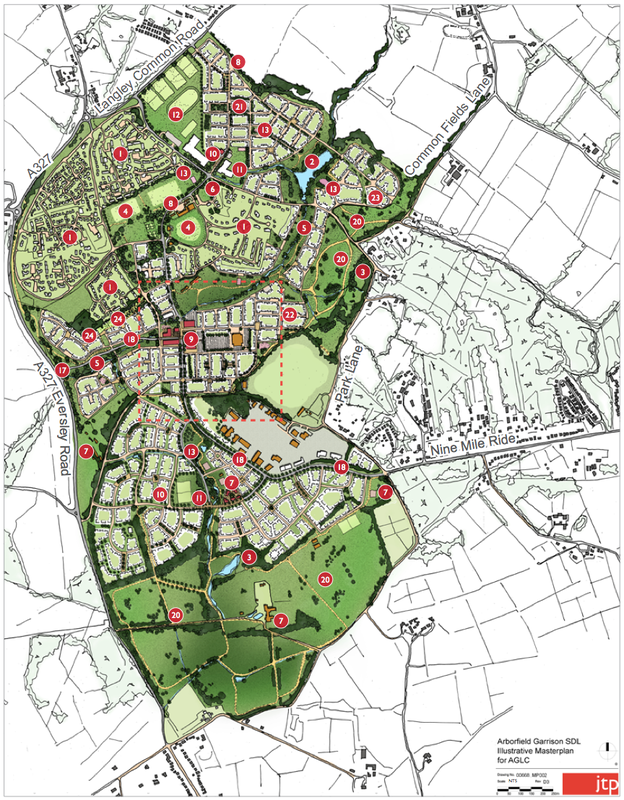 Of course Crest Nicholson has consulted on this once already, and hit the problems caused by the location falling across three different parish council areas, so they got the Barkham “anything but Arborfield” arguments, along with finding that the residents of the almost a thousand homes already within the Strategic Development Location boundary being quite clear that they live in Arborfield and being less than enthusiastic about a change of name. The other point is that they are only consulting on a name for half the development – you will note that the wording on the card talks about 2,000 homes, not the 3,500 that will make up the complete SDL, this of course is because the Marino Family Trust are putting forward their plans quite separately and up to now have been referring to their development as Hogwood Garden Village. We’ve seen one or two suggestions, many are some variation of Arborfield, so Arborfield Green has been suggested which would give a new identity to the development that would be something the existing residents who live in Arborfield could adopt without too much of an issue. 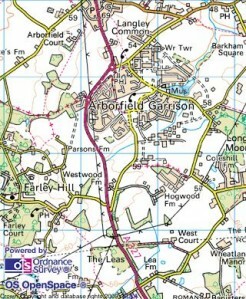 Another resident responded that they should “just drop the ridiculous Garden Village” and call it Arborfield. The suggestion from another resident that they should name it Mordor raised some laughs as well. The consultation is running until 4th December. Whatever name is picked will primarily be used for the Crest Nicholson marketing of the new development, certainly the discussions we have had indicate that any process to formally change parish boundaries or create a new official identity around the development is a very long way off, so ultimately if they want to include the residents in the almost a thousand existing homes in their new community Crest Nicholson really need to choose an identity that includes them. That brings us on to an interesting meeting that Crest Nicholson organised with residents from within the SDL a few weeks back many of whom had contacted Crest over various issues over the past few months. Hugo Reeve highlighted at that meeting that the development at Arborfield is relatively unusual for several reasons, firstly that it is split between three parishes, but also that there are a significant number of existing residents, both the continuing army presence in the retained Garrison housing now being used by Aldershot based personnel, and also the large numbers of civilian homes, many built as a result of previous MoD land sales, but many more who have lived here for decades. Crest are very aware of the risks this situation brings, primarily that it is very easy for a classic us and them situation to develop. As such they were very keen to try and understand how residents use the site now, and what problems and issues there are. What was interesting from the discussions was that even for the non-military personnel a lot of life revolved around the army presence. So residents valued the open access we have been given to army owned facilities, whether that is simply walking the dog around the army playing fields, events in the Garrison Community Centre, attending services at the Garrison Church or using the Garrison Post Office and shop before the MoD closed it and moved it behind the wire. Residents also valued the community events the Army hosted during the year, at the time of the meeting coming up to Bonfire Night the Garrison Fireworks that the wider community could also attend were mentioned. Whilst residents here participated in village events such as the village fete and would walk up to the village shop, the clear separation between the housing around the Garrison and Arborfield village – the sign for Arborfield is on the road between the Langley Common Road roundabout and Arborfield Cross for example – means that for residents here whilst they feel part of Arborfield there is also a distinct community down here around the Garrison. What was highlighted was that even though army personnel were remaining, much of what we used was being removed. The Post Office and shop were both closed to civilian residents a while ago, but the MoD had closed the replacement Post Office for military personnel behind the wire and the shop as part of the base closure. There had been much local publicity about the attempt to close the community centre, the centre being saved in part by local support. The MoD has withdrawn support for the church, Crest Nicholson highlighted that this was in the process of being transferred to be run locally with clergy coming from Finchampstead to take the services, again despite the church continuing to be the local point of focus for military families. Subsequent to that we have found out that the large playground that the MoD currently looks after next to the old Post Office location is to be closed, again because the MoD are not willing to look after it. The MoD, over objections from local residents and even Crest Nicholson themselves have fenced off the field used by dog walkers. The group also discussed wider issues such as any potential changes to the road layout in the Garrison area such as whether or not the blockades on Baird Road or Bramshill Close should be removed or retained, and also the ongoing problems with getting broadband, in particular to residents in Penrose Park where BT seem to have all but given up trying to provide – we have heard that one resident was actually advised by BT to move if he wanted faster broadband! The clearance of the site of the first new houses. We are starting to see visible changes around the Garrison now, whilst buildings have been being demolished for a while, work commencing adjacent to Biggs Lane has brought it home to many more. The first new residents of Arborfield Garden Village, Arborfield Green, Mordor or whatever they choose to call it will be moving in within the next year, the real question is whether existing residents will start their own community separate from the existing residents as described on the Meeting Place Communications card, or join the existing community of almost a thousand homes, both civilian and military. Please put your opinions down on paper and respond to the consultation – if you have lost the original card a copy can be downloaded here. Also, we have been asked by a student at Reading University whose dissertation is looking at perceptions of the flood risk in the River Loddon Catchment area if we could publicise a survey she is conducting – as many of us are affected when the Loddon floods we are happy to share this link to her survey, which should only take a couple of minutes to complete. With the Community Forum, announcements about the school, and the impending closure of the Garrison there is much to report this week. Firstly there was the Community Forum, held as previously at Henry Street Garden Centre. Much of the evening was devoted to discussions around the school. Firstly the decision by the council to utilise their fallback position rather than build the school in two phases and try to complete the build with the first intake of students already occupying the first phase was reviewed. There was widespread agreement that given the quality of the existing buildings it was an obvious decision, making the school build easier for the construction company, and also giving the new students and their parents some certainty over the school buildings as they consider whether to choose the school in the coming weeks. 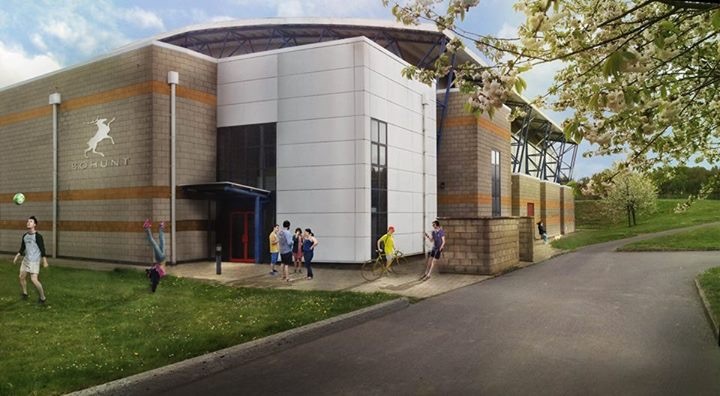 Both the council and residents expressed a wish that all the legacy buildings can be retained for the longer term – under the Crest Nicholson plans only the gym is going to be retained – the other buildings the school will utilise are scheduled for demolition later on in the build schedule. There was no comment either way about whether Crest Nicholson would accommodate this request. Whilst those members who have children about to go to secondary school are delighted at the news on the school, other AG-RAG members and residents have contacted us expressing concern as to how much extra the change in plan will cost, especially as this week the council is once again looking to make cutbacks to balance their strained budgets. As has been previously highlighted the school is being built ahead of when it was originally scheduled, and the school place predictions the council has presented on several occasions over the years show that there will still be free places in the council education system as a whole even if the new school in Arborfield weren’t to open in September 2016. The question was asked at the Community Forum this week and the council confirmed that they are expecting free places within the system this year even with the new school opening, but as they are predominantly in the north of the borough at Bulmershe school, and given that all the council schools operate a simple distance based tie breaker for oversubscription, not opening the school in the south would result in students here being unable to get into their catchment schools and the expense of students being bussed long distances to Bulmershe school daily, as has been highlighted many times previously. The council also highlighted that they are confident that the provision of a school at Arborfield will also attract back parents who would otherwise have sent their children to out of borough schools, in particular Yateley. In terms of costs the fall back position has always been in the budget, so no extra funding is needing to be found, however the decision to move the new school build to a single phase and not require the developer to work around the school on the same site would reduce construction costs. In addition the council is intending to make the buildings available for community use outside school hours, and even more once the school building itself opens in 2017 giving further value to council tax payers. How long they will be available is of course subject to whether Crest Nicholson can be persuaded not to demolish them! Other resident concerns related to traffic – despite all the efforts to encourage walking and cycling to the school many see that the reality is that many children will be dropped off by car – where the council highlighted that the design included a large drop off area for students, and that a planning application will be going in shortly for the revised access arrangements needed for the fall back buildings. They are confident that school drop off can be accommodated within the new development and should not impact existing roads. We have also received a couple of questions relating to whether the council is intending to redirect children from other years to the school in order to fill it once completed, to which the answer is a definite no. The school will not be completely full until the September 2016 cohort finish at the school, so for those children in the early years of the school they will have much more space than other children at the established schools. This however is a much more efficient, and less disruptive way to build a new school rather than expand every year for the gradually increasing numbers. Following the presentation on the school buildings, representatives of the Bohunt Educational Trust took questions on the school itself. The Educational Trust gave a generally assured performance discussing how they are going to build the community of the new school. The points where they had more of a bumpy ride was firstly when the question of school name came up – it is safe to say that Bohunt Wokingham is not a popular name, however when considering any of the other options a discussion similar to what happens when the name of the overall development comes up – Bohunt say that a final decision will be taken after consulting with the potential parents at the school open evening in a couple of weeks time. Bohunt also hit choppy waters when they were questioned about special needs provision. You may recall that back in January before the Education Provider was announced the council was questioned about special needs provision and said at that point that the school policy would be inclusive particularly for pupils on the autism spectrum or with challenging behaviour, but there was no plan at that point for a special unit for pupils with greater levels of need. When presented with the same question this week the Bohunt Educational Trust gave a rather different answer. Their basic line is that as with any other school they will consider what special needs provision to make once they see which children apply, this was greeted with some surprise by residents who on the basis that the Arborfield School has always been pushed as a community school, with some obvious feeder primary schools locally, it would seem that the trust could easily gather approximate numbers of special needs by looking at the students attending the local schools. Certainly the impression given to those concerned about special needs provision is that as the council will be providing specialist provision elsewhere Bohunt will do as much as they are required to for special needs students who are allocated to the school, but it didn’t seem to be a priority. After the education trust had presented there was a traffic presentation in particular focusing on how students were going to get to the school. At this it was pleasing to see that with a lot of the areas of concern around the site by potential parents the council has taken on board and are trying to move forward, for example reductions in speed limits in particular on Nine Mile Ride which will be the main access route for students from Finchampstead. The council also made a commitment that if the access routes for students on foot and on bicycles were not complete when the school opened from Finchampstead they would provide a bus service for students. Similarly they will be providing a bus service for students coming from the Farley Hill direction as they have concluded that improvements to foot and cycle access from this direction are not possible. The final presentation of the night was from Crest Nicholson, initially covering the latest progress on the various reserved matters planning applications, changes to the designs of the houses on the first phase following community feedback, and probably most emotive of all, the name of the development. As feared the name discussion quickly degenerated with Barkham Parish Councillors especially pushing for the new development to be referred to as Barkham, even suggesting that the developer should attempt to get the Royal Mail to change the post code of the development from Arborfield to Barkham – Royal Mail has previously refused point blank when Arborfield tried to change from a Reading to a Wokingham postcode. The attitude of Barkham is perhaps most surprising since for many years they have fought development that might connect Barkham village with the Garrison, in particular the Barkham Square development. 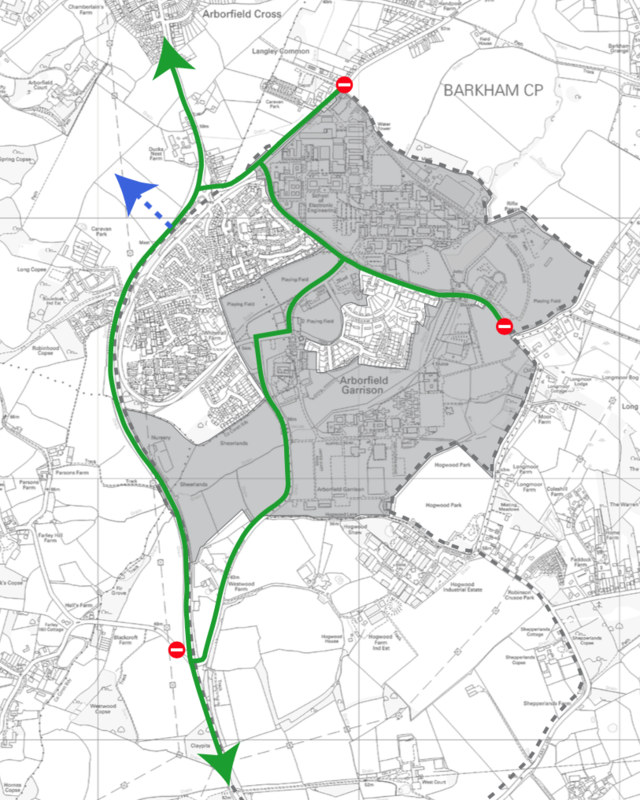 It seems counter productive to very publicly insist that the Garrison is not part of Barkham and campaign for a clear separation between the communities, and then change now to saying that it is part of Barkham after all, as saying that they are one community will only increase development pressure to connect the housing areas of Barkham together. 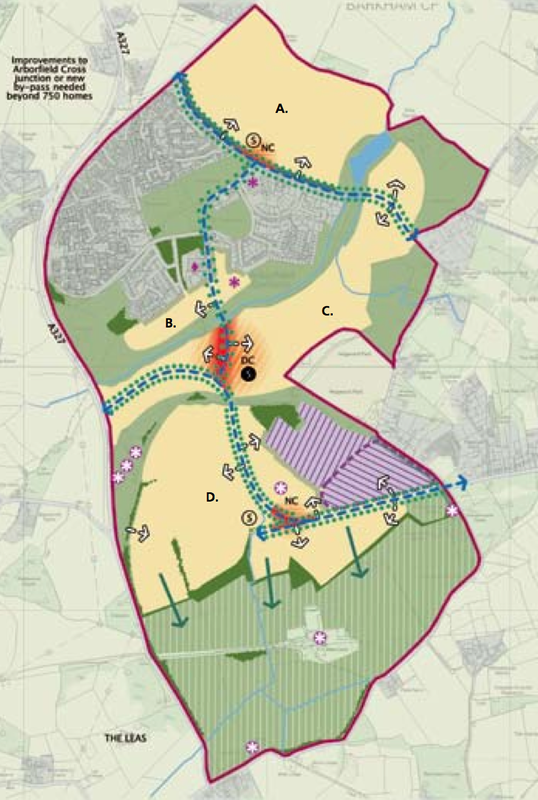 Currently the new development when complete will have barely discernible gaps with Finchampstead and much of it has always been regarded as part of Arborfield, whilst there is a significant gap with Barkham. Developers are already looking at speculative developments towards the Garrison end of Nine Mile Ride on this basis, making a very public link with Barkham could very easily backfire causing a variation of the Barkham Square development to reappear as part of the next round of major housing development plans and ultimately resulting in one of the last significant gaps separating the housing here from the ever expanding boundaries of great Wokingham falling to the developers. The argument of the name, particularly for the school being in Barkham is on shaky ground anyway as Finchampstead has an equally strong claim as the part of the Garrison on which the school is to be built was historically part of Finchampstead, and has only comparatively recently been transferred to Barkham Parish to ensure that the whole of Rowcroft Barracks was in one parish – the historic boundary runs straight across Sheerlands Road across the Garrison to Park Lane unlike the current boundary that has a sharp turn south when it meets the edge of the Garrison and follows the fence around. Anyway, Crest Nicholson are proposing the name of Allsebrook Village, their argument being that many of the names proposed were already similar to other towns and villages. Allsebrook would be distinctive whilst still having a local connection – unfortunately for the loud objections from Barkham that local connection is that the Allsebrook family were the last owners of Arborfield Hall. There seems to be a vain hope from Crest Nicholson that the councils will be able to work out something between them, but on the basis of the arguments at the Community Forum what may well happen is that Crest Nicholson will use the Allsebrook Village name for their marketing, the Marino Family will use Hogwood Garden Village for their marketing, and all the existing residents will continue to regard themselves as living in Arborfield or Finchampstead depending where they are located. In reality this may not end up as too much of a problem, there are numerous examples – Lower Earley and Woodley, Crowthorne and Wokingham Without being within a few miles – where the actual boundaries are now lost in wider communities without it causing too much of an issue. Moving on, with the impending closure of the Garrison, a number of issues relating to the MoD decommissioning are coming up. 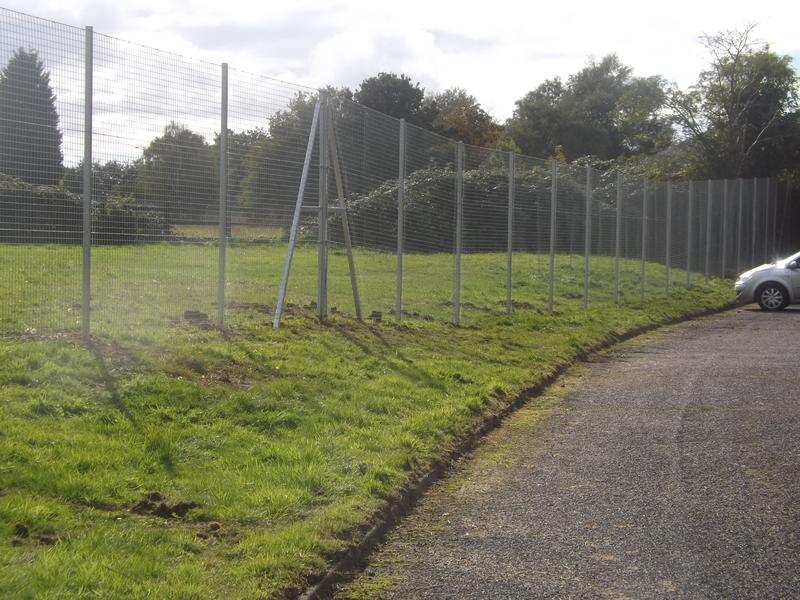 Previously we have mentioned the fence that appeared this week blocking access to the dog walking field. Long time residents will remember that something similar occurred when what became Penrose Park was sold off by the MoD a decade ago. Effectively the MoD put a new boundary fence around their remaining areas for security reasons, so in the same way they are fencing around the houses they are retaining, despite the fact that this cuts off access to the dog walking field for both their own personnel and the wider community. A similar disregard for their personnel and the wider community is apparent with what is happening with the well used Garrison Community Centre. Whilst separately leased parts of the building such as the Poperinghe Pre-School are continuing the MoD has decided that the army services offered to the local military families are unnecessary following closure, this despite them retaining all of the military housing. As such they have decided to withdraw their support of the centre immediately the Garrison closes, initially by terminating the insurance the centre needs to continue letting the hall. Whilst businesses using the centre will be able to continue at least for the short term, those too may run into problems before the end of the year. The development plans have always been clear that the community centre would be passed over, so subject to alternative management and insurances being set up the centre can continue to serve the surrounding community. What will be more difficult to replace is the specialist support the centre gives to the military families. The community in Arborfield has always valued and supported the service personnel and families living within our village, and we’re sure we will continue to do so, however it is sad that the higher reaches of the MoD are so concerned with extracting maximum revenue from building houses here that they are willing to abandon the personnel families that will be housed here in the medium to long term expecting them to travel many miles to Aldershot to gain access to the specialist support that has previously been available within walking distance on the base here. There is currently a petition running calling on the MoD to change their minds, and we would encourage as many of you as possible to sign to ask the MoD to continue to support the personnel and their families that will continue to be stationed in Arborfield for many years to come. Today we had an important press release issued by Wokingham Borough Council with regards to the school. The release was massively full of spin, but the bottom line is that as a result of the delays caused to the school construction schedule by the additional contamination on the site found earlier in the summer, the council has chosen to open the school in September 2016 using the fall back option of adapting some of the existing army facilities on the site rather than opening the school in the first phase of the new school building. They have further said that the school will now be built in a single phase so the students will only move into the new school once it is complete rather than trying to build the second phase of the school when the first phase is already occupied. We warmly welcome the council decision. The previous statements that a decision on the fall back would be made in January, whilst they left maximum opportunity for the council to save face and achieve their previously stated aim to get the school open in a brand new building in September 2016, left parents of potential students with a difficult decision. By choosing to opt for the fall back position now, that gives parents currently choosing a secondary school for their children a clear indication of where their children will be taught and allows them to decide with their eyes open. It also gives the council several months of additional time to adapt the army buildings and ensure they are properly prepared for their new role as a school. Hopefully it also marks a change of attitude from the council. Given the schedule for the MoD handing over sections of the Garrison, attempting to clear and decontaminate the land and build a new school building in such a narrow window as to open for September 2016 was always going to be a challenge. Information we received about developments on other former MoD sites indicated that they were always problematic, and there were often unexpected discoveries. As the council and Crest Nicholson statements have both highlighted subsequent to the discovery of additional contamination there are always these kind of known unknowns when dealing with a site like this that has been in MoD hands for over a century. Sadly this knowledge was not reflected in the initial plans by the council. Given what we had been told we highlighted our concerns early and often in the face of unbridled optimism from the councillors. We were therefore pleased when under pressure the council finally put a fall back plan in place, despite surrounding the announcement in further comments about how unnecessary it was and expressing continuing confidence that the new school building would open as planned in September 2016. As this announcement has proved, when dealing with a site like the Garrison, the council should always have a back up plan. Whilst we’re sure there will be disappointment that children will not be moving into a brand new building in September 2016 as previously promised by Wokingham Borough, the early council decision gives clarity for potential parents, and minimises disruption to their children’s education by putting them in established buildings needing comparatively small changes rather than rushing the build to achieve a grand opening, and trying to educate children whilst the rest of the school is built around them. The decision also makes the build significantly easier as by moving to a single construction phase the construction company will not have to plan around having young people in close proximity for large amounts of the build, and can properly secure the entire building site rather than trying to build one part without disrupting the other. It is a far better option and in the long term will hopefully ensure our community gets a much better built school rather than the rush job we could have had if the council had carried on with the initial plan. Quite a lot has gone on in the past few days so it is time for a more general update. Firstly the issue of the trucks going to and from the site through the residential area past the pre-school continues to roll on. Crest Nicholson had a site meeting in the middle of last week and let us know that they were going to change the routing of the trucks within forty-eight hours. That period has passed and we are now told that the routing will change “imminently”. What is more interesting is that they informed us that the trucks were being routed according to a plan in the section 106 agreement between themselves and Wokingham Borough Council, and sent us a copy of the plan that had been supplied to them, which does indeed show that the route through the middle of the Garrison alongside the route around the A327 and along the southern part of Sheerlands Road. We will be taking up how WBC allowed a plan to be included in the section 106 agreement, as this stretch of road is not only one that currently parents and children going to the pre-school have to cross, residents going to the letter box have to cross, but more importantly once the secondary school opens, this is a key part of the plans for a safe route to school. How many potential parents are going to be happy to have their children walking to the school when that route crosses one of the agreed access routes for building traffic to other parts of the development? 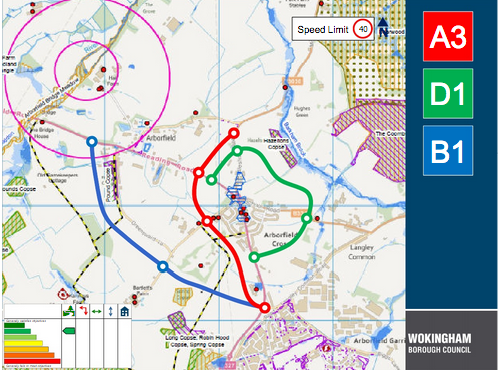 Another point to consider is that whilst Crest Nicholson are pointing the finger at Wokingham Borough Council over the route, the plan they were given has both routes. Crest Nicholson has been keen to highlight their credentials in a number of meetings with local residents, and talked about being considerate contractors with regards to the existing residents. But in this situation when given the choice of a route which exposed children walking to the pre-school to danger, goes past a well used bus stop, post box and playing fields through a residential area, as opposed to an alternative route that went down the A327 and approached the site well away from residential areas but was a bit longer, they chose the short route that even an elementary risk assessment would indicate was more dangerous to local residents and had a greater possibility of an accident. 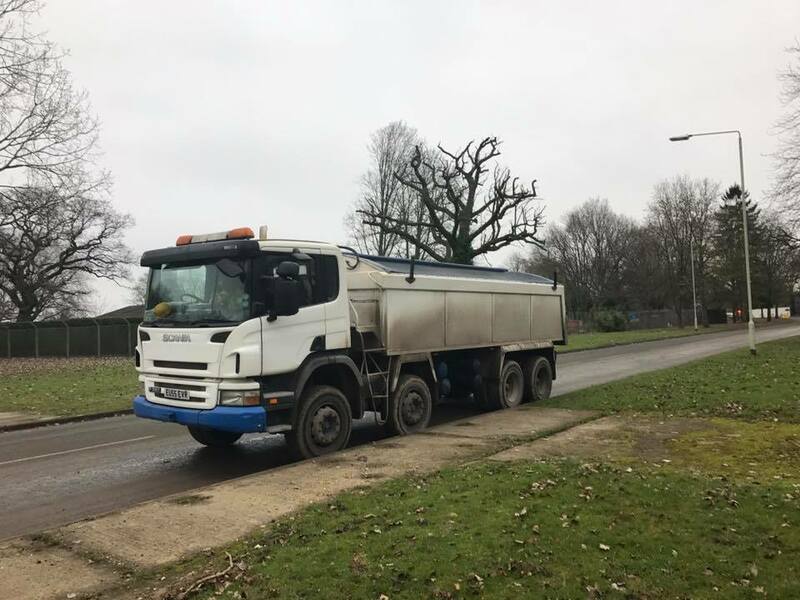 We hope that Hugo Reeve and his team at Crest Nicholson have learned lessons from this week and will put the safety of local residents, especially our children front and centre in all their subsequent routing plans, and wherever possible route their trucks and deliveries away from residential areas. Moving on, anybody who submitted comments to the Marino Family planning application for the southern part of the Strategic Development Location will have received either an e-mail, a letter, or possibly both, notifying them of a revision to the application. As with the revisions to the Crest Nicholson application previously you can comment on the revised application whether or not you commented on the original application. The revised application documents can be found on the council system under the application number O/2014/2179 with the revised documents presented below the original documents. As a number of members have pointed out both to us and the council the revised documents are not conducive to easily seeing what has changed as they are presented as new documents with no change tracking. 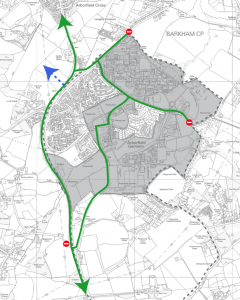 In wider news there continues to be consultation on the name for the development, in particular the most recent Barkham village newsletter has been campaigning for an “anything but Arborfield” name on the basis that most of the Crest Nicholson development is in Barkham parish. 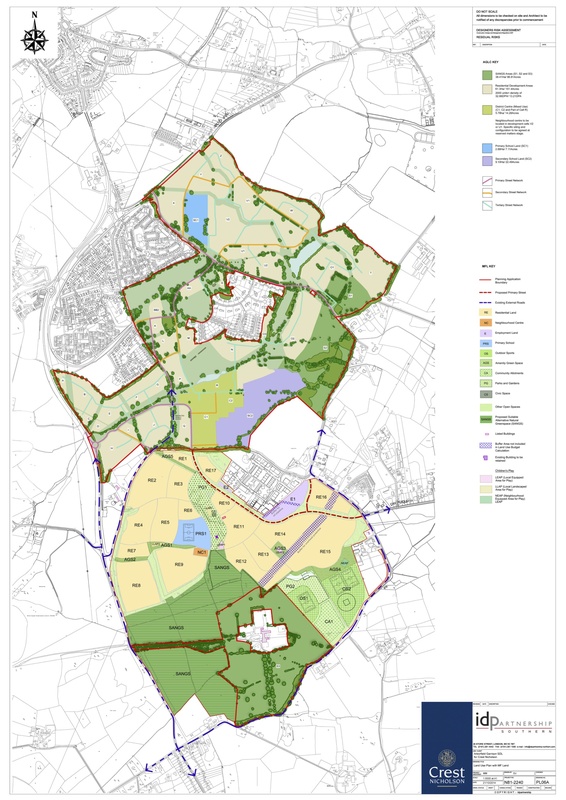 This of course ignores the fact that the Marino development is entirely in Finchampstead, and that all the previously developed Garrison land – Penrose Park and Poperinghe Way – are in Arborfield along with much of the existing housing within the SDL. The simple point to bear in mind is that the powers that be can pick any name they like, but the name that will stick will be the one people use, and the vast majority of existing residents of the SDL regard themselves as living in Arborfield. Another name that is up for discussion is the name of the new school, which has produced much debate on the Parental Reference Group page on Facebook. Like it or not the name will include the name of the education provider – Bohunt Education Trust. For those wondering where the name comes from, the Bohunt School was the original school which became and academy to found the chain, and that is named after Bohunt Manor which provided land for the original school in Liphook. Finally, don’t forget that next week, from August 3rd until August 23rd the A327 towards Reading will be totally closed near the Magpie and Parrot for the flood relief work that is required as part of the building of the Shinfield Eastern Relief Road. Hopefully the decision to close the road during summer holidays will minimise the traffic disruption, but with such a significant closure there will inevitably be some problems. As you may know, developers have been on site at the Garrison for a while, however things have taken a step up a gear with the access for vehicles opened up onto Sheerlands Road to allow the building of the school to get going. One concern residents close to the development site have always had is to ensure the safety of residents, especially around the open areas at the top of Sheerlands Road around the junction with Baird Road. This is where the number 3 Leopard Buses turn round, and there are often residents, both adults and children heading to the bus stop, children coming to and from the pre-school in the Community Centre, and adults and children making use of the open space. As part of this the council was asked to ensure that the many large lorries that will be going to and from the site avoided these areas and came in and out of the site from Sheerlands Road directly onto the A327 which they agreed to, rather than driving in from Langley Common Road, onto Biggs Lane, then onto Princess Marina Drive, onto Baird Road and then onto Sheerlands Road. Therefore it was a bit of a surprise to find notices directing contractor vehicles to the site turn up at the Sheerlands Road junction with Baird Road. The sign is pretty small, therefore it was not surprising today to find an articulated lorry missed the sign and ended up driving into the Army Housing area. 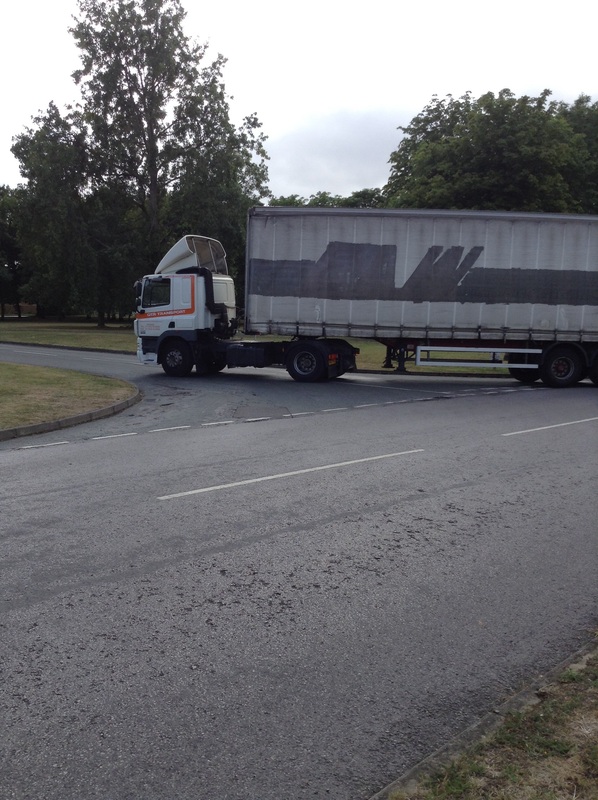 We’ve also had reports of lorries turing into the car park of the community centre where the pre-school is based. 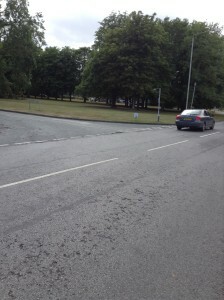 Other development sites have large signs clearly stating that contractor vehicles should not use certain roads – the Arborfield Garrison School development have none of these. Sat-nav on vehicles coming from Reading will obviously take them in from Langley Common road, so we need signs on the Langley Common Road roundabout with the A327 immediately to ensure the contractor vehicles are using the correct access routes before a child is run over or an accident caused by a contractor vehicle driving through a residential area. If you are a resident of the Garrison area there should be no contractor delivery vehicles moving through the residential area. Any that do are not following the agreed plan, so please get in contact and pass on details of the vehicle and we can pass on details to the council to ensure that the contractors are reminded about the correct route to use. This needs to be done quickly to ensure incorrect routes are not established, and especially to prove to residents that the council is serious about addressing and responding to residents concerns, ensuring the safety of those adults and children who will have to live close to this development for many years to come. A situation where lorries are getting lost in housing estates and driving into car parks of pre-schools cannot be allowed to continue.